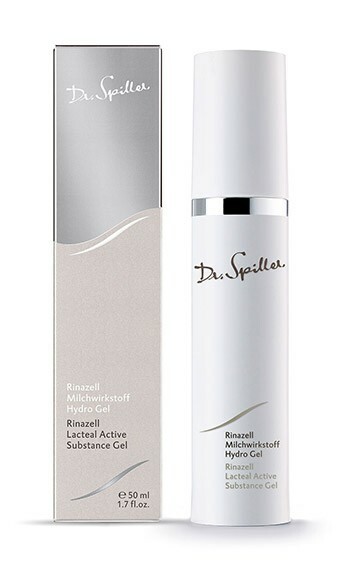 The soothing Rinazell Lacteal Active Substance Gel harmonizes, fortifies and protects skin prone to allergies. The soothing Rinazell Lacteal Active Substance Gel harmonizes, fortifies and protects skin that is prone to allergies and overly stressed. Milk peptides enhance the ability of the cells to absorb oxygen and improve skin resilience, which has a positive effect on the skin’s defenses. Hyaluronic acid preserves moisture so that skin prone to allergic reactions can quickly recuperate. Apply Rinazell Lacteal Active Substance Gel to face, neck and décolleté morning and evening after cleansing. Follow with Rinazell Lacteal Active Substance Cream.